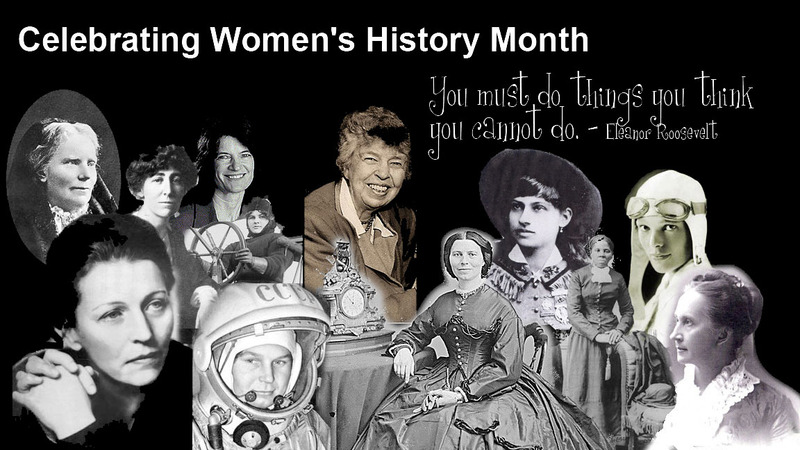 Commemorating the True Essence of Being A Woman – Celebrating National Women's History Month! Hello, you lovely people out there! It's been so long since we last connected, yeah? Been almost a month, right? Apologies, sweets! This time, we'll make up for it big-time and with this article, we'll kick-start it in a grand manner. By the way, did you miss us? Please say yes, because we really did, and so we promise to get you the most exciting anecdotes and blogs on the upcoming events. Here's how we get started: Well, do you know what's special about this month? Yeah.... It's March and yes, it contains 31 days, what else? Come on, put on your thinking hats and come up with a promising answer. Uh... Did we hear you saying Women's Day? Oh, fab! Exactly, we recently celebrated the International Women's Day and that's the highlight of this month. But did you know what the real significance of this entire month is? Okay, let us tell you. March is all so important because it marks the National Women's History Month! This season is dedicated to celebrating and appreciating the most courageous, powerful and thoroughly badass (we love this word, you see) women of the world. 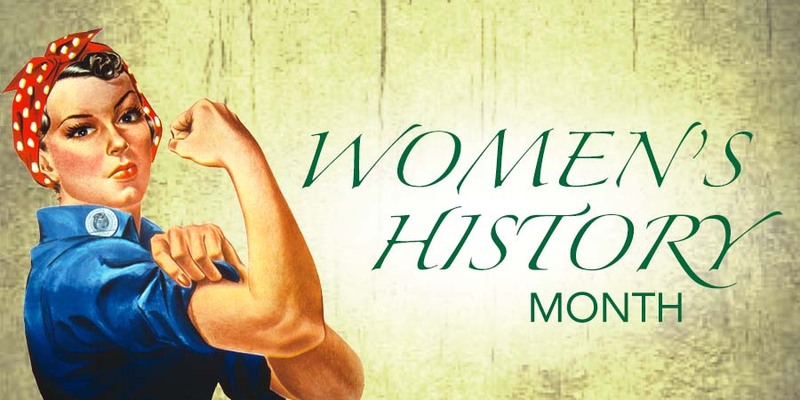 The National Women's History Month is celebrated in several parts of the world; however, the United States, the United Kingdom and Australia happen to be the front-runners in celebrating this awesome month-long occasion. Women have always been incredible at what they do, and it’s about these celebrations that give us a chance to felicitate their greatness at a considerable measure. As you guys know, we go all out to keep up with our ritual to make you erudite about every other thing. Here as well, we shall dive deep into the subject so that you know everything from its roots. The National Women’s History Month traces its initiation from the first International Women’s Day celebration way back in 1911. During that era, women’s history, women’s rights were completely alien topics and no one really knew about it. This continued till the late 1970’s until in 1978 the Education Task Force of the Sonoma County (California) Commission on the Status of Women initiated a “Women’s History Week” celebration. That was perhaps the starting of a new chapter in acknowledging women and their significance in the society. Again in the year 1979, a fifteen-day conference about women's history was held at Sarah Lawrence College from July 13 until July 29, chaired by historian Gerda Lerner. It was co-sponsored by Sarah Lawrence College, the Women's Action Alliance, and the Smithsonian Institution. When its participants learned about the success of the Sonoma County's Women's History Week celebration, they decided to initiate similar celebrations within their own organizations, communities, and school districts. They also agreed to support an effort to secure a National Women's History Week. And that, my little friends, brought us to the great National Women’s History Month. I urge libraries, schools, and community organizations to focus their observances on the leaders who struggled for equality – – Susan B. Anthony, Sojourner Truth, Lucy Stone, Lucretia Mott, Elizabeth Cady Stanton, Harriet Tubman, and Alice Paul. National Women’s History Month honors the extraordinary contributions of women to the history of this great country, America. It observes the exemplary things women did that made our nation the way it is today. We’re sure you’ve looked up to phenomenal women like Maya Angelou, Hillary Clinton, Elle DeGeneres, Mala Yousufzai, Mother Teresa, Margaret Thatcher, and Oprah Winfrey, who’ve changed the way the world looks at women today. And not just them, it’s time you acknowledge your own mothers, sisters, aunts, grannies and all the other exceptional women in your life who make life all the more pleasing and delightful for you. This month is all about commemorating their greatness and showering them with the love, gratitude and honor they deserve! So stand up and get going. Stand up for the women in your life, stand up for every woman you know who’ve been instrumental in shaping you the way you are. It’s important that you grow up to be fine citizens who’d be an asset to the great country – The United States of America!